A high performance RADIANT DELIVERY SYSTEM for residential and commercial buildings. Hydronic distribution systems use water to move energy from where it is produced to where it is needed through a small circulator pump, reducing energy use and allowing an optimal distribution of heat. 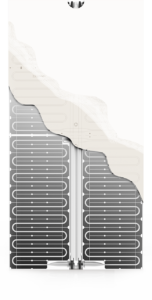 The hot water (in the winter season) and the cold water (summer) generated by the heating and cooling source (typically heat pump or a combination of boiler and chiller) is conveyed through an innovating press fittings technology and piping system to the active ceiling panels (Ray Magic gypsum panels) that in the winter deliver heat to the room and in the summer extract the sensible heat through the chilled ceiling. Explore the latest home climate control technology designed specifically for Radiant Cooling and Heating Systems. 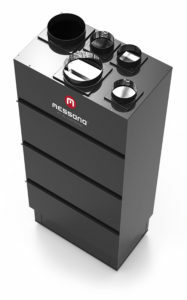 Messana offers a unique CLIMATE CONTROL PLATFORM designed with 20-year experience in hydronic radiant cooling and heating. The Messana control system integrates a unique technology to modulate radiant fluid temperatures so that surfaces stay above the dew-point, while keeping occupants comfortable and boosting energy efficiency. It is the main unit of the home climate control system. Typically installed in the mechanical room, it regulates the home energy flow to deliver optimal Thermal Wellbeing™. mBox controls energy resources (heat pumps, chillers and boilers) with multi-staging, Domestic Hot Water (DHW), Heat Recovery Ventilation (HRV) based on Indoor Air Quality (IAQ) and Neutral Temperature Dehumidification (NTD). 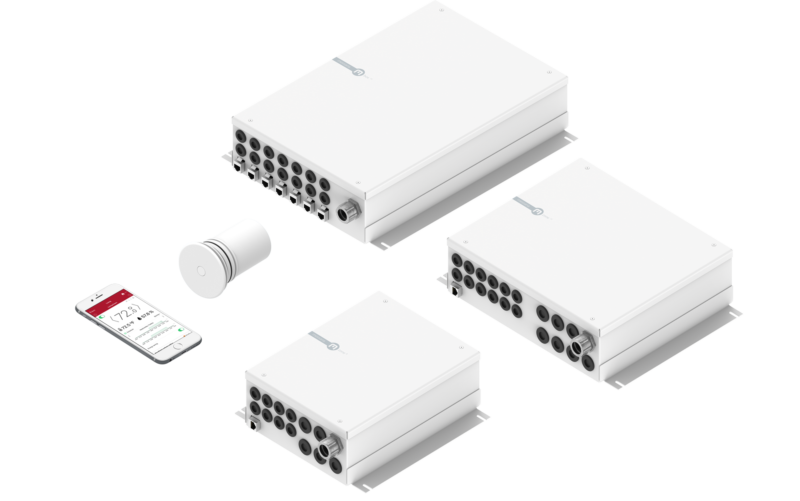 The mZone module connects up to 12 mSense room sensors. It is installed at manifold location to activate thermal actuators, recirculating pumps, mixing valves, 2-way and 6-way zone valves and air handlers. mZone it’s designed for 2-pipe as well as for 4-pipe distribution systems for simultaneous heating and cooling demand. It works also with hybrid radiant/forced-air cooling and heating systems. In the past, typical room thermostats only provided air temperature as the sole index of thermal conditions. An HVAC control system based uniquely on air temperature does not account for other key comfort elements. mSense measures the three fundamental indoor environmental parameters that influence the wellbeing and thermal conditions of occupants: operative temperature, relative humidity and air quality. The new Messana web and mobile app, gives you full control of the radiant cooling and heating system from anywhere in the world. It features a friendly and intuitive user interface to interact even with the most sophisticated radiant/forced-air systems at your fingertips. The Messana web and mobile app fits seamlessly in your life to provide the perfect Thermal Wellbeing™, precisely when and where you want it. Breathing healthy and clean air is also an important part of your Thermal Wellbeing™. This is why Messana has developed a complete range of AIR TREATMENT UNITS (ATU) specifically designed for radiant cooling to ensure increased Indoor Air Quality and the comfort of the occupants. Messana neutral temperature dehumidifiers (NTD) with integrated heat recovery ventilation (HRV) allow to introduce fresh dehumidified air from outside without wasting energy. Even in critical external conditions, Air Magic units are able to maintain the temperature of the supplied air “neutral” with the room (isothermal).